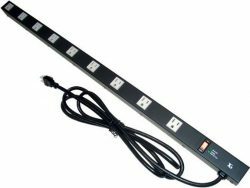 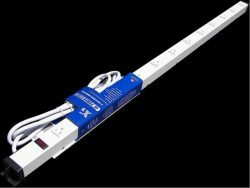 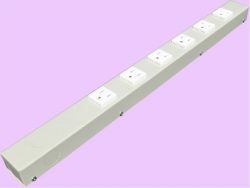 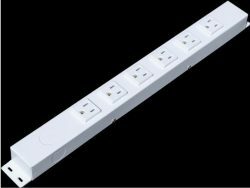 This hardwired type power strip is good for installation in your kitchen, garage for cabinet, rack, island, countertop and so on. It is not for normal wall outlets. 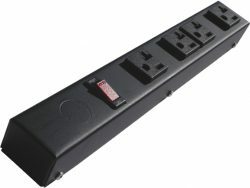 There is no power cord and plug with this unit. 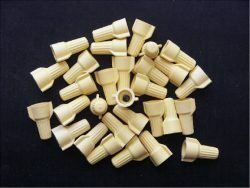 Before installation, you may need to get a 3/8″ wire clamp connector (also available here) and 3 wire connectors (also referred to as terminal connectors, we have yellow connectors available for your convenience). 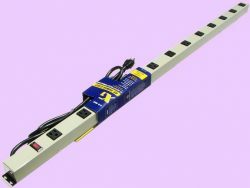 Decide your wire gauge, and ask store attendant for assistance what connectors you should get) from your local hardware, electric supply or home improvement stores. 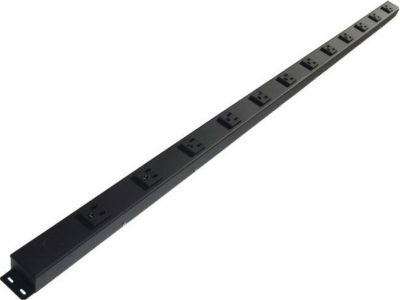 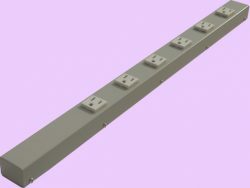 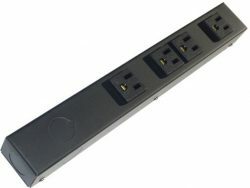 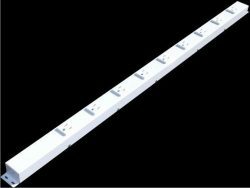 * For installation purpose: The length of the power strip does not include the mounting tabs (approx. 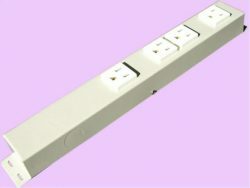 0.624″/15.8mm on both ends, if available, please check the above spec chart); the width does not include the size of screws (min. 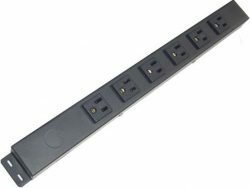 0.064″/1.6mm on each side); the height does not include the receptacles (about 0.208″/5.3mm above the surface of the strip).